Pink Lemonade. No-pinch, no-tears Fidlock™ magnetic buckle, Removable spin dial fit system, Detachable visor, Durable, injection-molded ABS shell with protective EPS foam, Crumple Zone™ in EPS is engineered to disperse energy on impact, Eleven vents and internal EPS channeling for maximum airflow, Three sets of foam pads for customized fit, 360 degree reflectivity, CPSC 16 CFR 1203 and ASTM F1492 certified for cycling, scooting, and skating. 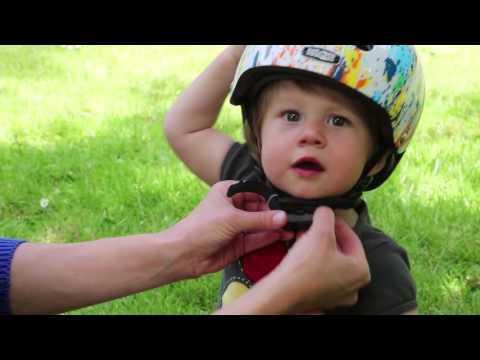 All Baby Nutty helmets are XXS (47cm - 50cm).